Carl L. Goertemoeller serves as the Chief Business Development Officer for Viking Partners. 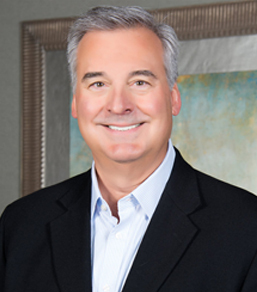 Prior to joining Viking Partners, Carl retired in March 2016, after a sixteen-year career at Macy’s, Inc., most recently serving for seven years as Senior Vice President of Real Estate, where he was responsible for leading the development and implementation of both Macy’s and Bloomingdale’s corporate-wide real estate program. Prior to joining Macy’s, Carl was Vice President of Development at Simon Property Group, a global leader in retail real estate ownership, management and development. Carl spent fifteen years with the company, holding numerous development positions within both the regional mall and open-air center divisions. Before joining Simon Property Group, Carl held Research and Financial Analyst positions at both Federated Department Stores and General Electric Corporation. Carl was elected to the Board of Trustees of the International Council of Shopping Centers in 2010 and served on its Executive Board from 2013 to 2016. Carl also serves on the Asset Committee of the Cincinnati Center City Development Corporation (3CDC) and Board of Executive Advisors in Real Estate for the University of Cincinnati. He previously served on the boards of the Downtown Cincinnati Improvement District, Downtown Cincinnati, Inc. and New Horizons Credit Union. Carl has served in a variety of service and community capacities including the Board of Directors of the Metropolitan Center of Indianapolis (1997-2000), United Way of Cincinnati Neighborhoods and Community Council (2002-2003) and as Chairman of Macy’s United Way Corporate Campaign in 2004. Carl graduated from the University Of Cincinnati College Of Business Administration in 1979 and received an M.B.A. from Miami University in Oxford, Ohio in 1980.